Go to our Internet Store below to view our selection of Amethyst. 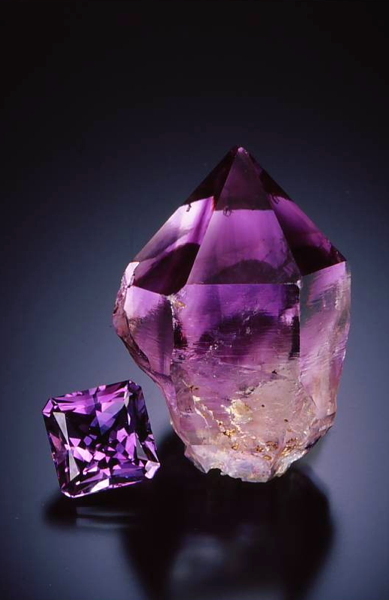 We currently offer Amethyst from Jackson's Crossroads, Georgia and Mapatizya, Zambia. Both of these localities have beautiful color saturation for Amethyst. In the future we will add more of our gemstone inventory to the store. This Jeff Scovil photograph shows a beautiful natural crystal of Amethyst from Jackson's Crossroads, Georgia. The faceted stone is about 12 carats and is from the same locality.